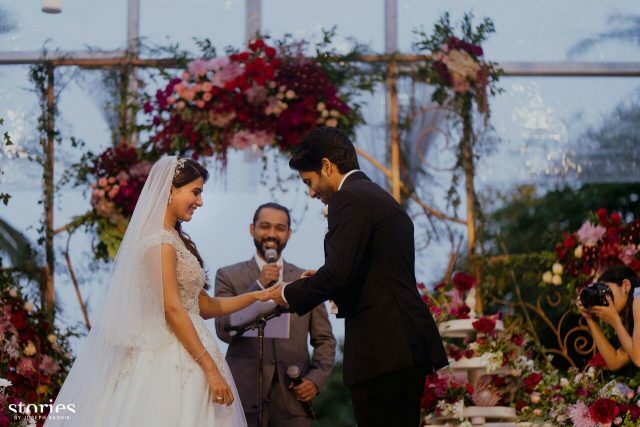 Naga Chaitanya and Samantha Ruth Prabhu’s two-day wedding celebrations came to end with a Christian wedding. 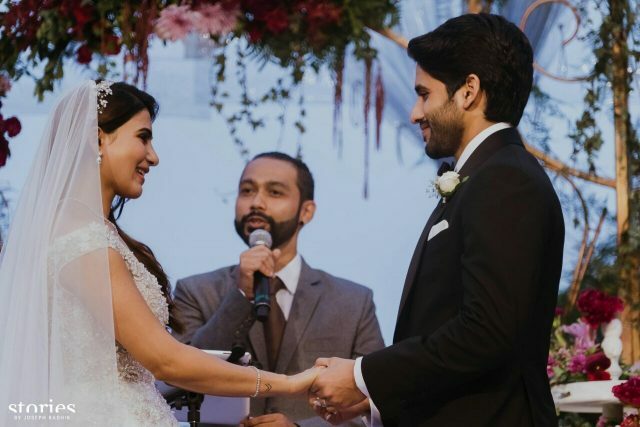 Our favorite celebrity couple Naga Chaitanya and Samantha Ruth Prabhu’s two-day wedding celebrations came to end with a Christian wedding held on Saturday evening. 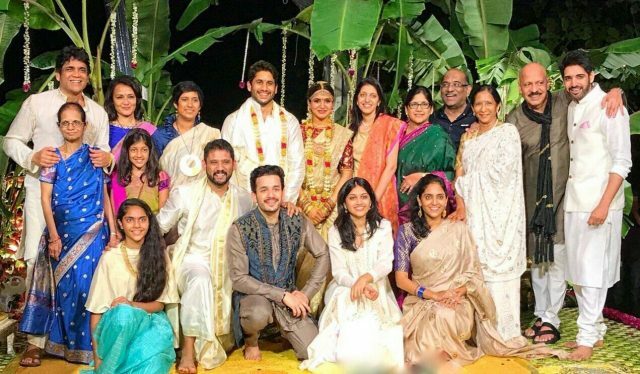 On Friday, the couple had tied the knot as per Hindu rituals in the presence of family and close friends. 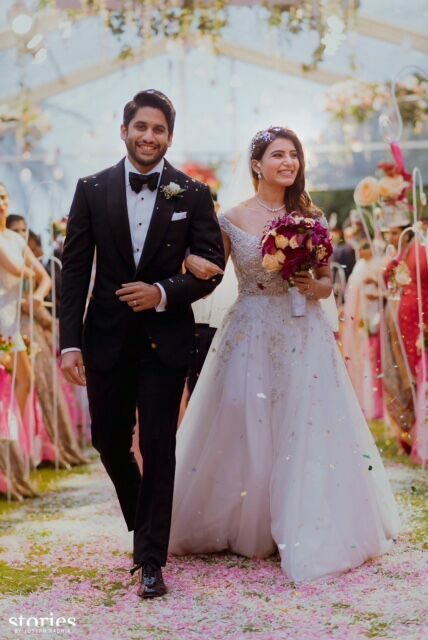 We have happened to get our hands on some of the pictures from the grand Christian wedding.Samantha looked amazingly beautiful in her wedding gown, designed by her close friend Kresha Bajaj of label Koesch. Naga, on the other hand, looked dapper in a black suit. The guests were seated to watch the young couple exchange their vows. While the Hindu wedding ceremony took place early Saturday morning, the Christian ceremony began at 6.00 pm at Hotel W in Goa. 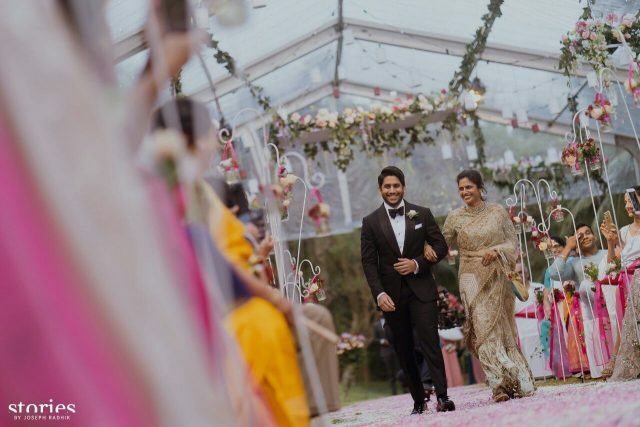 The wedding was attended by Sam and Chay’s best buddies from film industry – Vennela Kishore, Rahul Ravindra, Chinmayi Sripada, Adivi Sesh among many others. 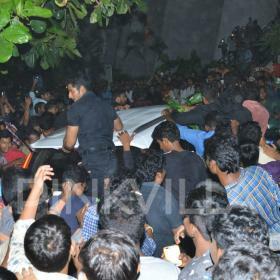 The couple will also host a grand reception in Hyderabad the date for which is yet to be confirmed by them. For those who don’t know, the lovebirds met on the sets of the hit movie ‘Yeh Maaya Chesave’. While the rumors around their relationship status spanned quite some time, they kept it under wraps for quite a while. And the couple finally came out in the public around a year back. Since then they have shared some adorable moments together both offline and online. 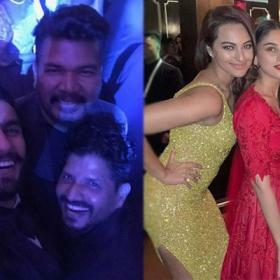 Where is Nags bffs Anuska shetty and Tabu? It’s a wedding, not a ‘christian wedding’. Like it’s not a ‘Hindu wedding’ or a ‘Muslim wedding’? Nice oics…this is the best Chay has ever looked…so dapper! Great to see his mother.. Both of them look so cute, Congrats to the couple!